Although college students may have passed the age they were supposed to get their quill-written letter to enroll at Hogwarts, it isn’t too late to find a place as close as Muggles can get to the real thing. We judged universities across the country based on appearance, activities, Harry Potter related classes, food and quidditch presence to see which places made potterheads feel at home. So grab some butterbeer because you won’t find these top 10 universities that most resemble Hogwarts in London. Pack your sunscreen and have the spell “aguamente” nailed down pat. 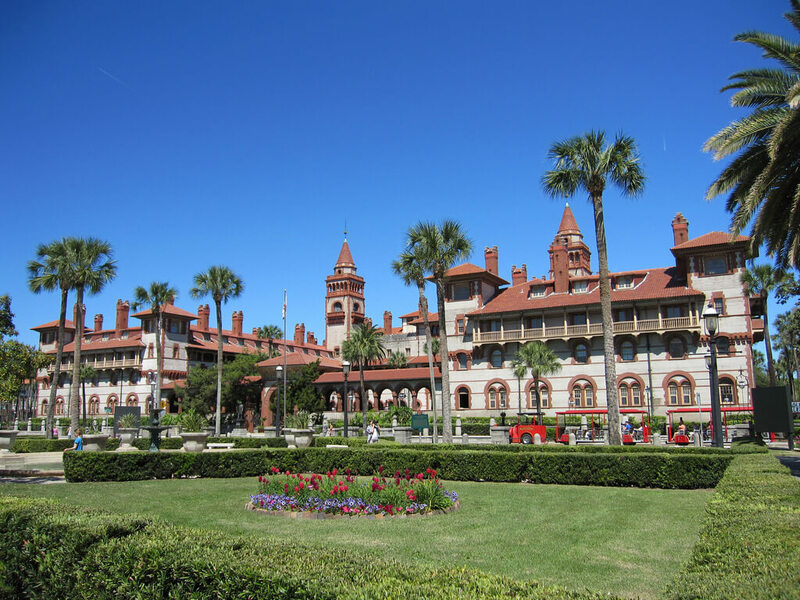 Flagler puts a sunny Florida spin on the Hogwarts experience, so switch out your boots for flip flops and use your witch’s hat to shade the sunrays. Flagler sophomore Caitlyn Rees said, “It does have a castle like feel.” Every year, Flagler dedicates November all things Harry Potter. Students separate into four houses and compete in a shortened version of the house cup, spending weekends on broomsticks playing Quidditch. “We have a big dinner in the dining hall and the school transforms to look like Hogwarts, which is really good,” Rees said. So don’t be shy to wear a swimsuit under your robe, Flagler lets you mix Potter with pleasure. Students at Chestnut Hill mix their love for the Potter world and a good time. Every year, they host a Harry Potter Festival, a three-day event when students litter the campus with tents similar to the Quidditch World Cup in Goblet of Fire. There they recreate Quidditch games and feast on a Great Hall-worthy dinner. “The town of Chestnut Hill transforms into Hogwarts for one weekend out of the year,” said Chestnut Hill junior Paige Black. 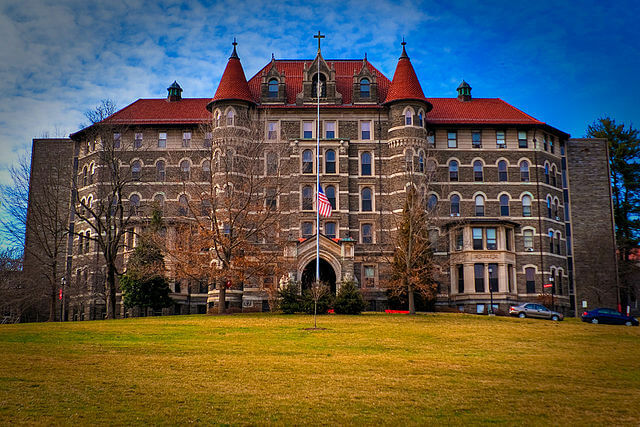 “It feels like you’re really there, minus the whole flying on broomsticks part.” Whether you embrace the college life or your inner wizard, throw on a robe once in a while to support the school’s Quidditch team. P.S. 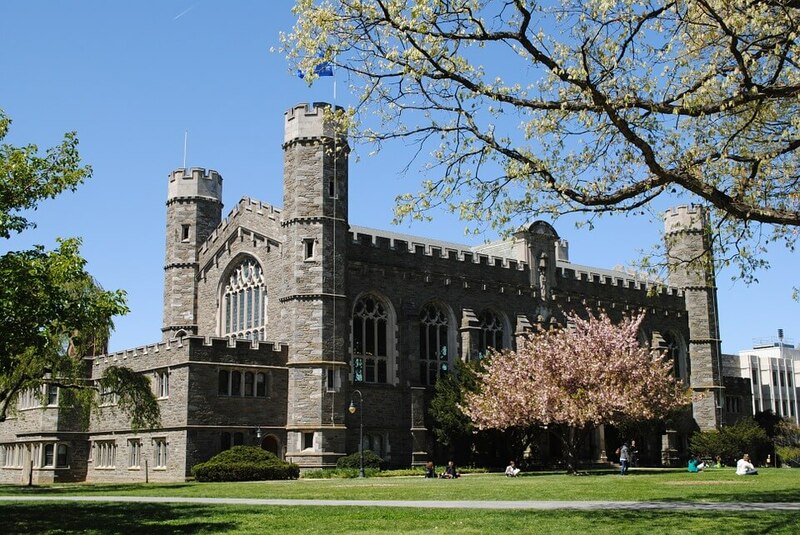 Chestnut Hill’s next Harry Potter Festival takes place on October 22, 2016. No need to thank me. 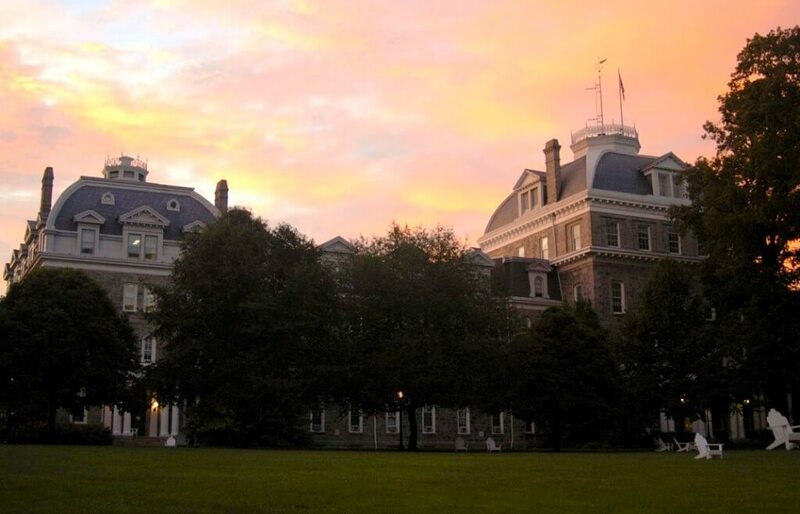 Face the dark arts—and a dark forest—while venturing onto Swarthmore grounds. The scenic campus contains Crum Forest, which not only shares its name with Viktor Krum, but also turns into the Forbidden Forest at night. Swarthmore freshman Zheng Fang joked, “I have a professor with greasy hair who keeps talking about my mom.” Interested in Defense Against the Dark Arts? Swarthmore offers a class called “Battling Against Voldemort,” where students compare Harry’s heroic journey with admirable protagonists like Bilbo Baggins. “We [also] have a magical dining hall,” Fang said. If you brought a broomstick here, the students wouldn’t question it. “The commons look just like the Great Hall,” said Yale freshman Tiffany Fomby. “People make the connection all the time.” On Sunday mornings, potterheads at Yale refine their Quidditch skills in front of the Sterling Memorial Library. The team has even competed at the Quidditch World Cup (yes, this exists). Students feel at home once separated into the 12 residential houses, so brush up on your healing charms in case you hurt yourself dancing in the Phoenix dance troupe. Reminisce on the good old days when Hedwig flew high in the sky (spoiler alert) and spend time at Furman’s Bell Tower. Students hangout at the bell tower just as Harry used to meet up for secret conversations, but no, you won’t actually find owls here. To explore darker magic, investigate Judson 500, a haunted floor at Furman. 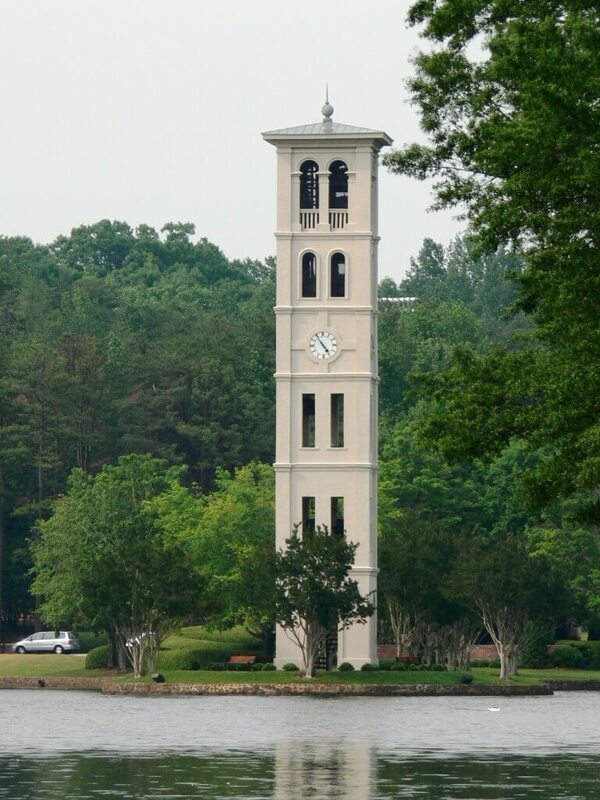 Furman freshman Leah Portis said, “Our campus is gorgeous with the lake, dawns and the bell tower. And [we] just threw a Yule Ball that was very well attended.” Clearly, no matter what you choose to invest your time in at this school, it’s easy to imagine the magic. (Pretend to) fly high at the University of Washington, Seattle while playing on their Quidditch team. In 2015, UW’s Suzzallo Library housed an exhibit called “Muggles & Magic: Harry Potter at the Libraries” featuring books, games, articles and all things Harry. 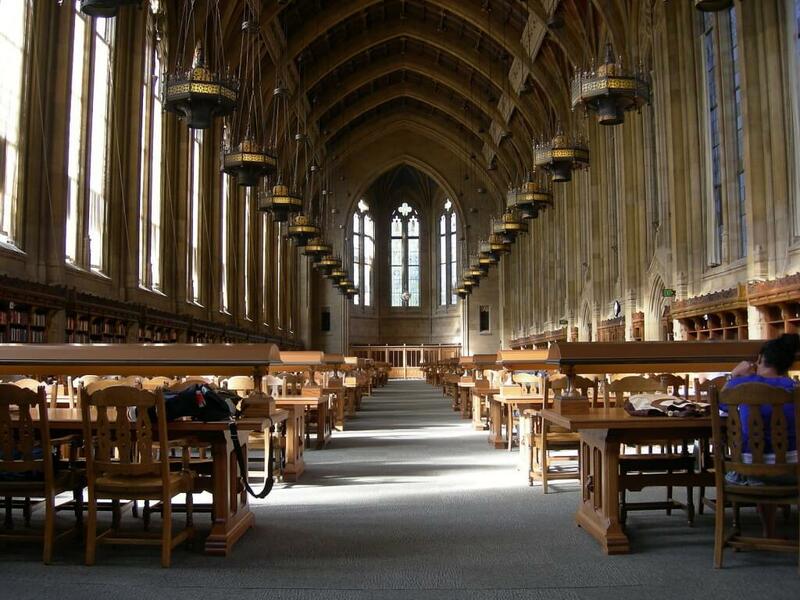 “We call it the ‘Harry Potter Reading Room,’” UW students Danny Kang said. “Also, it always seems gloomy and rainy at Hogwarts, which is pretty much Seattle’s weather 10 out of the 12 months.” Don’t miss out on Mary Gates Hall, UW’s center for undergraduate learning. The high, arched ceilings will make you feel like you’re in your Hogwarts house’s common room. Bryn Mawr’s mascot is an owl. Need I say more? 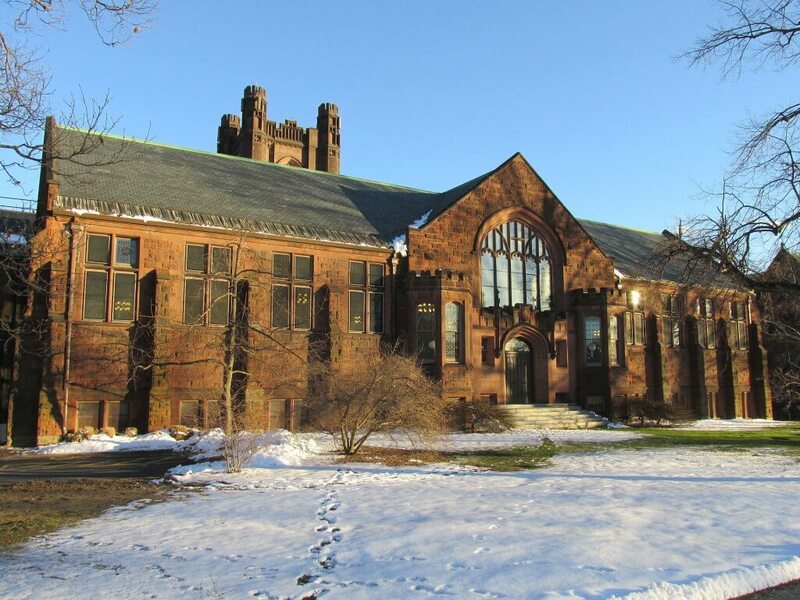 With grand brick buildings like Thomas Great Hall and Rhys Carpenter Library, not even a Muggle can deny the resemblance. According to Bryn Mawr freshman Veronica Walton, “Thomas Great Hall has banners and high gothic windows, which look exactly like the features in the Great Hall of Hogwarts.” Instead of fighting Voldemort, the club Minerva’s Army fights for social justice across campus through Harry Potter. Also, at the end of term, the school throws a Harry Potter themed dinner in the Thomas Great Hall, another magical dining hall where students eat a large amount of food while sipping on pumpkin juice and butterbeer-like drinks. 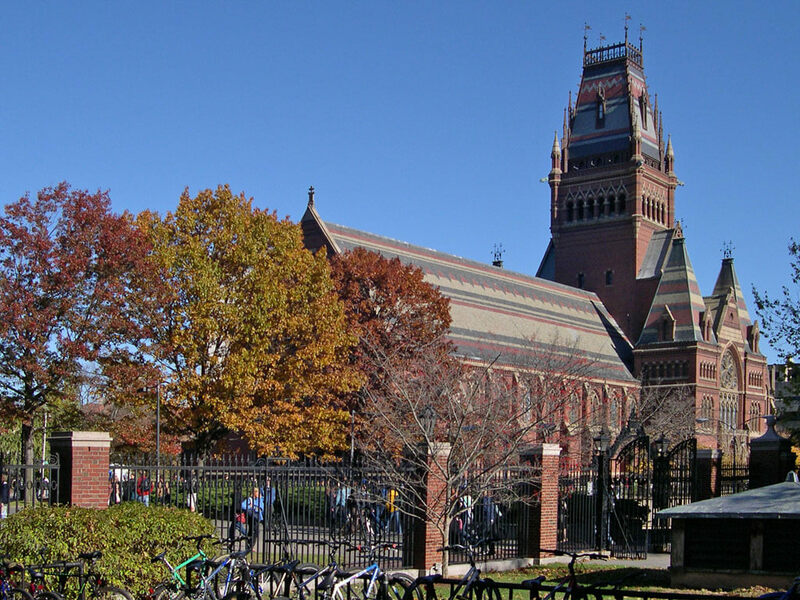 Harvard resembles Hogwarts not only in its architecture but also its low acceptance rate. Harry Potter fans wish they could get their hands on a Nimbus 2000 and walk around the magical campus. “Every room has beautiful and grandiose cravings. I think the pictures speak for themselves!” said Harvard freshman Katherine Harrison. The dining room Annenburg Hall makes you feel ready to go under the Sorting Hat with its similarities to the Great Hall. 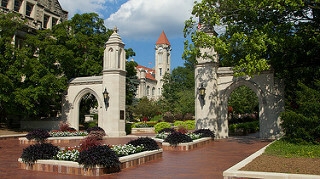 Students even get sorted into houses after their freshman year. The houses, named, Adams, Cabot, Currier, Dudley, Dunster, Eliot, Kirkland, Leverett, Lowell, Mather, Pforzheimer, Quincy and Winthrop each offer common rooms and competitions to make you feel at home.